While physics-based puzzlers are perhaps the most popular variety of mobile games, a certain army of tower defense fans may have a case to refute such a claim. 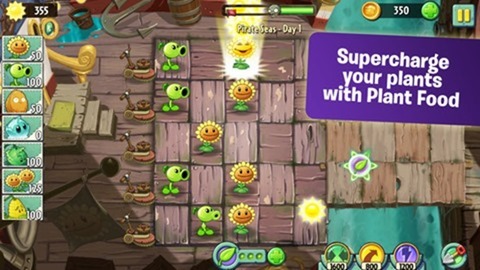 From Fieldrunners to Bloons TD, there are perhaps hundreds of these addictive strategy titles available on the App Store, but few have reached the level of popularity of Plants Vs. Zombies. 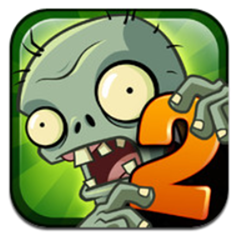 Today, the sequel to the original, which has naturally been entitled Plants Vs. Zombies 2, has become available at the Australian and New Zealand App Stores, and although the U.S. / worldwide rollouts tend to follow shortly thereafter, it looks as though the rest of us won’t be seeing the game just yet. 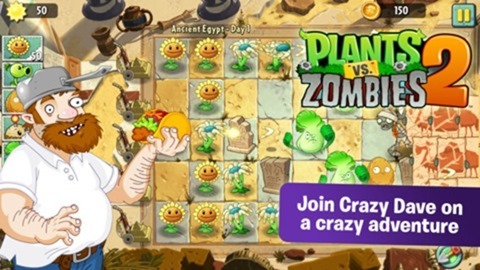 Like the current craze that is the Candy Crush Saga (although perhaps less of a shakedown in that you only need to cough up your pennies just the once), Plants Vs. Zombies has prided itself on its innocent-looking environment; a guise for what is an extremely tricky title once you get started with it. Like most tower defense titles, it’s all about thing ahead, and Plants Vs. Zombies 2 offers more of the same for those who enjoyed the first installment. Although Plants Vs. Zombies hasn’t been as successful as the likes of Angry Birds or Cut the Rope, it’s been a champion in its own right; a mainstay near the summit of the App Store charts for many a year. The wait for a follow-up has been lengthy, but according to the release notes from Electronic Arts, worth sitting on a lawn all summer for. The staggered release for the rest of the world is to enable EA to “test out all of the new systems and features built into the game,” and since PvZ 2 wasn’t actually meant to release until July 18th anyway, we’ll let them off. Apparently, the new innovations will require "large tests" to be performed ready for the worldwide drop, so don’t be surprised if you have to wait a couple of weeks to see what all the fuss is about. Still, it’s not as though PvZ hasn’t been out for years already; a short wait longer for the sequel won’t hurt. Oh, and if you do happen to reside within Australia or New Zealand, you can grab the free title from the link below.